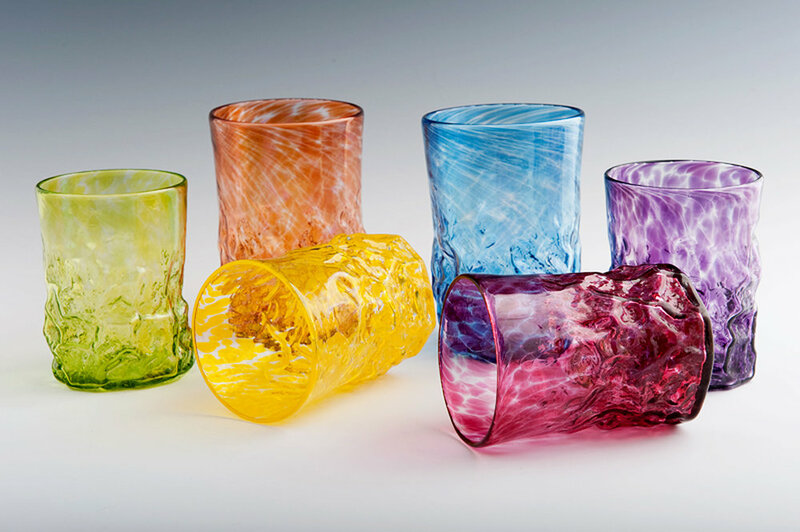 These tactile tumblers come in a variety of colors and have bumpy sides allowing for a firm grip and great textured look. Their versatile size makes them great for anything from juice to a cocktail on the rocks, and they look wonderful in a monotone set or as a complete rainbow. Holds approx. 11 fluid oz. Rocks Tumblers seen here in Lime, Orange, Yellow, Blue, Red, and Purple (left to right).